Lock in a great price for A Casa da Herba – rated 8.7 by recent guests! The staff was amazing. My daughter had left her sunglasses at a hotel in Vigo the night before. They arranged delivery and did so much communication to make the return happen. The girls there went above and beyond and very nice the entire time. I saw their kindness to everyone who stayed there. We spent the afternoon in the town, riding the vehicle train to the beach and stopping in the cafe by the park for cafe con leche. It was a wonderful, relaxing stay. Thank you. 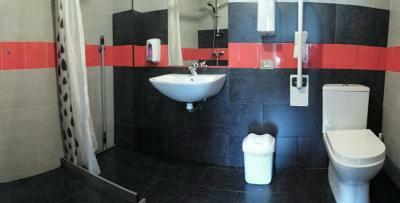 Very comfortable place, nice washroom (but can be cramp when 10 of us sharing two washrooms). Beautiful view of a peaceful square. Common place is nice as well. Kitchen has only one hot plate, good for meal in a pot type of cooking. Other wise it is a good place. Room was spacious and clean. Great location, just walked out the door in the morning and resumed our Camimo. Lovely warm and friendly embience. We were happy to find a washimg machine and drier there. The Hospitalero kindly lend me a hairdryer. From the moment we walked through the door, they were great with us. They went out of their way to make sure we got the room with double bed that we wanted. They were helpful for all of our questions about finding what we needed in town. Additionally, they were right on the Camino, which was welcomed after a hard long day of walking. Everything about our stay was lovely. Lovely host, very comfortable and the facilities are a bonus. We did our laundry, had a nice chat with other guests over a glass of wine at the kitchen table. Immaculately clean and well cared for. Location is perfect. We would highly recommend this as a stop on the Camino Portuguese. Grear location for the camino right in the center of town next to the church, it's an albergue obviously but they have a private double room as well which was large and very comfortable. Highly reconmended. The double room was spacious, clean and very nice. We were sharing a bathroom with only one other room. The toilet was clean and the staff very helpful. Private room with twin beds. Balcony with a beautiful view of the narrow street scape. Use of adjoining bathroom. Nice upper floor kitchen with facilities. Ideal location. Host gave great tips regarding local tapas bars. 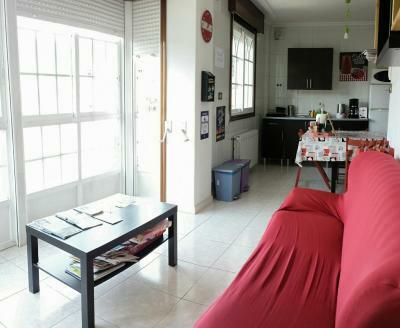 Located in Redondela, A Casa da Herba has a shared lounge and free WiFi. All rooms feature a kitchenette and a shared bathroom. The property provides a shared kitchen, and organizing tours for guests. Guest rooms in the hostel are equipped with a coffee machine. The rooms are equipped with an electric tea pot, while some have a balcony. All guest rooms will provide guests with a microwave. Vigo is 9 miles from A Casa da Herba, while Pontevedra is 12 miles away. 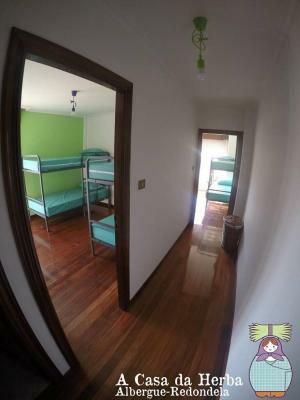 The nearest airport is Vigo Airport, 5 miles from the accommodation. This property also has one of the top-rated locations in Redondela! Guests are happier about it compared to other properties in the area. 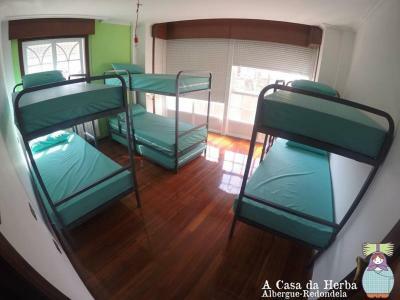 When would you like to stay at A Casa da Herba? This bed in dormitory has a balcony, dining area and tea/coffee maker. This bed in dormitory features a microwave, tea/coffee maker and toaster. This bed in dormitory has a microwave, dining area and kitchenware. 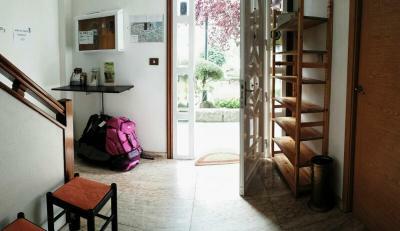 This twin room has a balcony, electric kettle and tea/coffee maker. House Rules A Casa da Herba takes special requests – add in the next step! Shower was cold water. Hostel off season. Small complaint otherwise. Bathrooms were private, but only two on site that I saw. 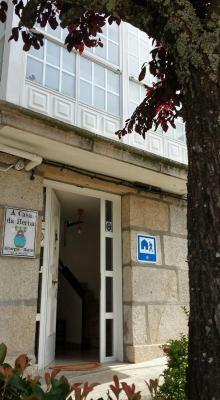 A great place to stay right on the Camino de Santiago. Staff were helpful, laundry facilities on site, beds were clean, and there's a grocery store right around the corner. There is a lot of smoking in this town! This is a great little Albergue, with a cosy and homely feel. There’s a great little lounge to sit around and share stories and clean and comfortable facilities. Great advice from our host made this an excellent stop along the Camino - which goes right by the front door. Rooms are in several levels so you need to be ok with stairs. Lovely staff, well equipped kitchen, great location. You have to wait until 1:00 pm to check in. Casa Herba is right on the Camino de Santiago. Not a plug at each bed. Located in a nice sunny square. Laundry was easy. Had Peregrina beer for sale.